Best Trackway Supplier award at the Event Production Awards 2018! Join the hundreds of happy customers who have utilised our reliable Mesh & Grid range! We just added this superb product to our wide range, giving you even more solutions for your projects! Ground protection matting for pedestrian and vehicle access. Request a copy of our brochure today! Worried about getting stuck in the mud? Then you are in the right place. The Grassform Group is an award-winning supplier of trackway, ground protection and grass reinforcement solutions for events and industry. Whether you are trying to prevent thousands of concert-goers turning a football pitch into a mud bath, or you need to create access to a construction site for heavy vehicles over rough terrain, we can help. We specialise in high quality, durable, sustainable products that turn unpaved ground into sturdy, reliable surfaces for pedestrians and vehicles. From laying out foundations for permanent and semi-permanent pathways and drives to reinforcing grassed areas to create a temporary car park, our versatile range of plastic boards, mats, grids and mesh offer flexible, straightforward, cost-effective solutions. One of our core areas is the supply of semi-permanent and temporary trackway products – boards, mats, grids, tiles and plastic mesh that are used to create paths and driveways over all types of terrain. Our expertise in this area was recognised when we were named winner of the Best Trackway Supplier category at the Event Production Awards 2018. Securing this award is testament to the top class product selection we offer and the depth of knowledge our hard-working staff have in the field of temporary trackway. It also demonstrates our standing in the events industry as a go-to supplier for pathway and access route solutions. From trackway to car parks, excavator support mats to dance floors, we are committed to delivering the same level of service – premium quality products backed up by unbeatable expertise. All of our products serve a double purpose – to provide strength and stability to support traffic on unpaved, soft or boggy ground, and also to protect surfaces from damage. The tyre of a car or truck sinking into wet ground is not only inconvenient to the driver, it will quickly ruin fields and turfed areas with deep, ugly ruts. Our interest in protecting outdoor environments also extends to the materials we use in our products. The majority of solutions we provide are manufactured from 100% recycled and recyclable plastic. For convenience, for cost, for durability versus weight, plastic offers many advantages over alternatives such as wood and metal. We do everything we can to ensure our products are from sustainable sources, and never end up in landfill. 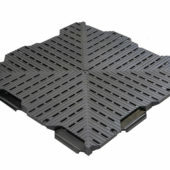 With advanced anti-slip designs, our solutions are some of the safest on the market for outdoor use in wet conditions. And with open mesh structures, they allow for natural water drainage, meaning nearly all are compatible with Sustainable Urban Drainage System (SUDS) building regulations when used in permanent or semi-permanent installations. 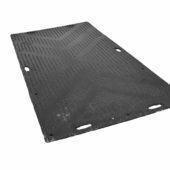 Our ground reinforcement boards offer robust, long-lasting support and protection well suited to heavy traffic from vehicles and pedestrians. With individual tiles that are capable of bearing loads up to 150 tonnes, we can devise solutions that are capable of supporting the heaviest cranes and plant machinery on unpaved ground. 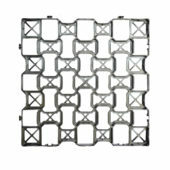 Euromats: Lightweight, easy to assemble yet capable of bearing loads up to 30 tonnes. Ideal for access routes, temporary car parks and pedestrian pathways. Trakmats: Super-durable interlocking mats also capable of holding loads of 30 tonnes, with unique UV protection to minimise grass scorching. Recommended for industrial flooring and vehicle access routes. Tufftrak: With individual tiles capable of supporting axle loads up to 150 tonnes, Tufftrak is the super-strength solution for heavy plant vehicles and machinery. A market leader in plastic paving products, Geogrid offers highly versatile solutions for creating permanent and semi-permanent surface structures such as paths, driveways and carparks. 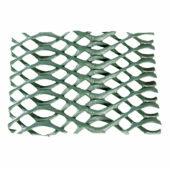 Used as a turf reinforcement and protection measure, Geogrid allows grass to grow through its open mesh and weave with the plastic frame, creating a mat-like grass structure capable of supporting vehicle traffic. Alternatively, Geogrid can be filled with aggregate to enable swift, cost-effective construction of pathways and drives. We supply two Geogrid products, Geogrid Standard and Geogrid Premium, plus a range of white delineation markers that slot into the grids for marking out car parking spaces. 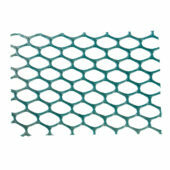 Suitable for pedestrians and light vehicles, ground protection mesh is extremely easy-to-use and cost-effective. Available in 30m rolls, its simple ‘roll-and-go’ application allows for rapid creation of paths and access routes at events. 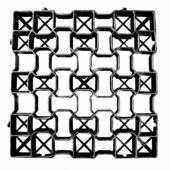 Alternatively, it can be used as a permanent reinforcement option for turf and grass embankments, by allowing the grass to grow through it and entwine with the mesh. Light: Easy to deploy, suitable for pedestrians. Medium: Recommended for use on heavier ground, or when heavier footfall is expected. Heavy: Capable of handling loads up to 7.5 tonnes on firm ground, suitable for car and small vehicle access routes and temporary car parks. 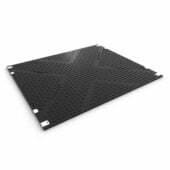 Diamond Track is a premium quality solution for temporary and portable pedestrian flooring. Just as effective indoors and out, it is a popular choice for marquee flooring, temporary dance floors and even pop-up play areas, as well as for creating walkways, concourses and paths. With an innovative flexible interlocking design, Diamond Tracks can be assembled with individual tiles perpendicular to one another, or staggered on a diagonal for a ‘brick bonding’ effect, which gives the surface additional strength.